The STS Honorary Medal was established in 2010 by the Signal Transduction Society in association with the BMC Journal “Cell Communication and Signaling” (CCS) to acknowledge outstanding individuals for their ground-breaking contributions in deciphering signaling pathways in normal and diseased cells. In 2017 the International Journal of Molecular Sciences (IJMS) became co-sponsor of the medal, which is awarded by the Signal Transduction Society. Areas of awarded research reflect the STS motto “Signal Transduction - Receptors, Mediators and Genes”. Excellent candidates have been nominated by STS members, and the award committee, composed of STS council and advisory board, has unanimously selected the laureates. Each year the Medal is presented at a Medal Ceremony, which takes place in the course of the annual meetings of the Signal Transduction Society. As a special highlight of the ceremony the honorable awardees deliver their Medal Lectures, in which they share personal views of the history of their outstanding discoveries in signal transduction research as well as their visions for the future. Professor Karen Vousden (Francis Crick Institute, London, UK) was awarded the STS Honorary Medal in 2018 for her lifetime contributions on the function and regulation of the tumour suppressor p53. Professor Michael Reth (Max Planck Institute of Immunobiology and Epigenetics, Freiburg, Germany) was awarded the STS Honorary Medal in 2017 for his lifetime contributions on intracellular signaling pathways in lymphocytes and his pioneering work on the structure and function of the B-cell receptor. Professor Tak W. Mak (Campbell Family Institute for Breast Cancer Research, Toronto, Canada) received the STS Honorary Medal in 2016 for his contributions and discoveries in the fields of immunology, signal transduction and cancer biology. 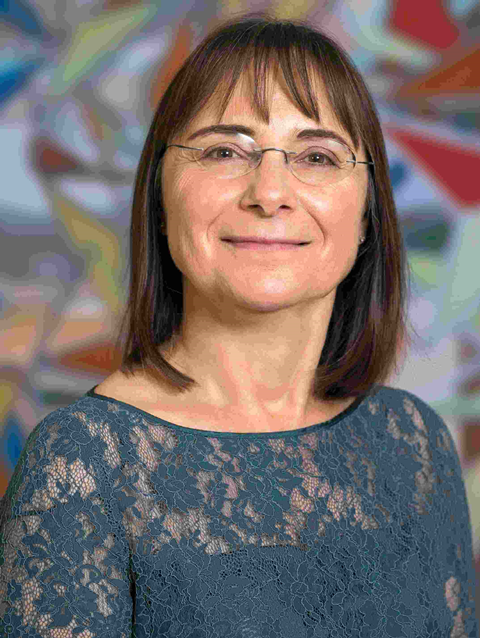 Professor Mina J. Bissell (Lawrence Berkeley National Laboratory, Berkeley, USA) was honored for her lifetime contributions to discover the role of the tumor microenvironment in the development of breast cancer. Professor Jules A. Hoffmann (University of Strasbourg, Strasbourg, France) and Nobel Prize winner in 2011, received the Medal in 2014 for his seminal work on the molecular basis of innate immunity and the discovery of Toll-like receptors. Professor Klaus Rajewsky (Max Delbrück Center for Molecular Medicine (MDC) Berlin-Buch, Germany) was honored in 2013 for the development of conditional gene targeting in mice and its application to identify the functions of signaling pathways in normal and malignant cells of the immune system. Professor Carl-Henrik Heldin (Ludwig Institute for Cancer Research, Uppsala, Sweden) received the STS Medal in 2012 for his seminal work on growth factors and their receptors. Professor Anthony (Tony) R. Hunter (The Salk Institute, La Jolla, California, USA) was honored in 2011 for the identification of reversible tyrosine phosphorylation of proteins as a basic principle of signal transmission. Professor Anthony (Tony) Pawson (Mount Sinai Hospital, Toronto, Canada) was awarded the Medal in 2010 for his discovery of modular protein interaction domains and their importance for signal transduction. This prize is meant to honor outstanding research by a post doc or a junior principal investigator of the Signal Transduction Society and we explicitly encourage also early career scientists to apply for the STS Science Award. The prize was first introduced at the annual STS Meeting in 2005, ever since it became a regular element of all following STS Meetings. The STS Science Award was first sponsored by Acris Antibodies GmbH (2005-2007 and 2009), Biomol GmbH (2010-2017), and OMNI Life Science GmbH (2018). This year the STS Science Award is donated with a sum of 1500,- Euro by the Signal Transduction Society. At the meeting, the applicants will have to present their work both as an oral presentation (which requires the contribution to be selected as a talk by the respective chair people) and as a poster. The jury board consisting of the STS council and STS advisory board members will evaluate the applicants’ scientific achievements and background in general and discuss the meeting contributions in detail in order to finally take their decision on the awardee. Applicants should submit a cover letter, the abstract of the work to be presented at the STS meeting, a brief description of the project highlighting major scientific achievements and a CV that includes the list of publications. Please also refer to the effective STS Meeting home page. Each year on the occasion of the STS Joint Meeting “Signal Transduction - Receptors, Mediators and Genes”, the Society for Biochemistry and Molecular Biology/Gesellschaft für Biochemie und Molekularbiologie e.V. (GBM) announces the GBM-Innovation-Award for Young Scientists, donated with EUR 500,–. With this scientific award, the GBM would like to acknowledge young scientists especially working on a new and interesting method in the field of biochemistry, molecular and cell biology as well as signal transduction. The prize will be granted to a young scientist (diploma, master, MD or PhD student or post doc within their first years) who is developing or has developed a novel and innovative method, which might be attractive for all of us. The work has to be submitted as an abstract to the STS-Meeting and must be presented also as a poster, even if the abstract is selected for oral presentation. The awardee will be announced at the Award ceremony. Awards can only be received personally. The award jury consisting of the speakers of the GBM-Study Groups “Biochemical Pharmacology and Toxicology” and “Receptors and Signal Transduction” will select appropriate candidates. For submission details, please also refer to the effective STS Meeting home page. Please note that only complete applications will be evaluated. Candidates will be selected during the STS Meeting by the chair people of the different sessions. In order to particularly support young scientists, chair people and heads of departments or institutes are not eligible for a poster award. The poster prizes will be announced at the Award ceremony. Awards can only be received personally and will be made payable by cheque. Cheques must be cashed at latest on December 31st of the same year. Successful applicants will be notified in October and personally awarded during the STS Meeting in Weimar. The award ceremony will be part of the General Assembly of the Society. Awards will be made payable by cheque and must be cashed at latest on December 31st of the same year. For the deadline and other details, please also refer to the effective STS Meeting home page. Please send your application to the STS Travel Grant Committee (stipend@sigtrans.de).